Back in 2014 OpenCdA ran a series of posts about the DBSI financial scandal headquartered in Meridian, Idaho. The DBSI fraud had at least ten victims in northern Idaho. It had victims in 34 states and millions of dollars in losses to victims. Yet neither of our area skews papers (Coeur d’Alene Press or The Spokesman-Review) followed and reported on this very significant financial crime operating out of Idaho and financially damaging residents in our area. The Idaho Statesman reported on Friday that former DBSI executives Douglas Swenson, Mark Ellison, Jeremy Swenson and David Swenson will appear before US Magistrate Candy Dale in Boise on Monday. Their appeals have been rejected by the Ninth Circuit Court of Appeals and the US Supreme Court, so Magistrate Dale can either order them taken immediately into custody to begin serving their sentences or she can allow them to remain free on bail until their prison assignments have been finalized. In March and April OpenCdA put up several posts concerning the DBSI federal securities fraud trial. The DBSI fraud resulted in millions of dollars in losses to victims nationwide. Today, Idaho Federal District Court Judge Lynn Winmill sentenced former DBSI president Douglas Swenson to 20 years in federal prison for his role in defrauding investors in the defunct Meridian property management company. The details of the sentencing are in the Idaho Statesman’s online article headlined UPDATE: Former DBSI president to serve 20 years for defrauding investors. The article also reports that one of Swenson’s co-conspirators, former DBSI legal counsel Mark Ellison, will be sentenced later this afternoon. ADDENDUM at 7:07 P.M.: Attorney Ellison got five years. OpenCdA’s previous posts about the DBSI securities fraud trial in Idaho’s Federal District Court have focused on the criminal trial. Of course, a portion of that trial revealed the dollar losses suffered by those caught up in the scheme. It is difficult for most of us to grasp the magnitude of those dollar losses. The aggregate approximations sometimes used, “millions if not billions of dollars,” doesn’t begin to help us appreciate the pain and suffering incurred by DBSI’s creditors. For a small creditor, the loss of just a few thousand dollars may mean the loss of a business or the ability to retire. Thanks to OpenCdA reader “Stebbijo” we can begin to personalize the losses and maybe to better appreciate not just their dollar value but their emotional impact as well. “Stebbijo” provided us with this List of Creditors filed in the Federal Bankruptcy Court in Delaware. You will note that there are 1,791 pages, and there are 20 or more creditors listed on each page. The actual list of creditors is only 895 pages, but there are two lists: one is sorted in ascending alpha on the creditor’s name, and the other is sorted in ascending numeric by claim number. In addition to identifying the creditors, the column headed “Claim Amount” often but not always lists the dollar amount of each claim. For those interested in looking at the various bankruptcy filings in re DBSI Inc., et al, The case number is 1:08-BK-12687. OpenCda has quickly scanned about 500 pages looking for creditors who listed their address in northern Idaho. We have found at least 10 in northern Idaho. We do not believe that is the entire number, however, since some of the claims were likely filed through attorneys with addresses not in northern Idaho. For example, a creditor identified as “Call Ctr Coeur DAlene Ironwood Tenants in Common” used a law firm in Eagle, Idaho, and filed claims in excess of $1,066,400.91. Careful readers will note we have avoided referring to the creditors as “victims,” because some of the creditors listed in the List of Creditors include criminal defendants Swenson and Ellsion. The creditors may be investors, but they may also be businesses who provided goods and services to acquire, build, or operate the various DBSI enterprises. “I was foreperson on this jury and after being discharged found this website. The webhost has done an amazing job offering information and insight into the case. It was a very complex case and the jury took its time dealing with each defendant on each issue. Judge Winmill informed us about Agent Morse’s suicide/death yesterday after we were released. Some of the jurors knew but most did not and a few took the information very hard. If there are any questions that I have the answers to….feel free to ask. First to “mkjcrich”: Thank you for your jury service. I hope that it was a satisfying and rewarding experience for you and your fellow jurors. Thank you also for your nice compliment. I think as a starter, it would be informative to OpenCdA readers to hear your overall comments and impressions about your jury service in a very serious and complex federal criminal trial. How would you characterize your overall experience with the federal criminal justice system? What expectations did you have going into the trial as far as your service was concerned? How would you characterize the overall performance of your fellow jurors? If since your release from jury duty you have read or heard news reports of the trial, how would you compare the accuracy and completeness of the news reporting with what you observed as a sitting juror? Given that this appeared to us to be a complex financial crimes case, how would you characterize the ability of the government to present the admitted evidence in a logical, understandable fashion? Overall, what most surprised you, what most pleased you, and what most disappointed you about your service as foreperson in a federal criminal jury trial? Additionally, if as it appeared to us DBSI’s principals started up intending to operate lawfully as a legitimate business but devolved into criminal conduct, what lessons can communities and individuals learn from the admitted evidence to help us identify and avoid becoming victims of companies like DBSI? In its story headlined Jury: DBSI officials guilty, but not of all charges, the Idaho Statesman is reporting that DBSI President Douglas Swenson was convicted by a federal district court jury of 78 counts of various frauds. DBSI attorney Mark Ellison and two corporate officers were convicted on 44 counts of securities frauds. This is a preliminary story; the Idaho Statesman will have more complete coverage in its Tuesday newspaper and online. OpenCdA has several earlier posts derived from the Idaho Statesman’s reporting and other sources. And still nothing timely from The Spokesman-Review or the Coeur d’Alene Press. 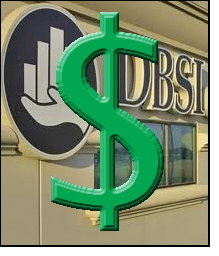 Before its 2008 bankruptcy, DBSI managed 280 shopping centers, office buildings and other commercial buildings in Idaho and 33 other states. 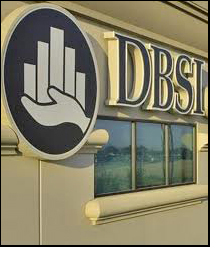 The holdings were worth $2.7 billion; many of them were owned by groups of investors to whom DBSI sold fractional shares. With DBSI’s extensive involvement in 34 states including Idaho and with holdings worth about $2.7 billion, OpenCdA still wonders why this story received pathetically little coverage from Idaho’s other newspapers including the Hagadone News Network and The Spokesman-Review. Closing arguments in the Idaho-based DBSI federal criminal trial will conclude today. Federal district court Judge B. Lynn Winmill will provide instructions to the jury, and the jury should get the case for deliberation. This morning’s Idaho Statesman article by John Sowell is headlined DBSI defense: Can FBI agent be trusted? should be neither a surprise nor a shock to Statesman readers and those who have been following the DBSI trial stories in the Statesman. In today’s story, Sowell reports that DBSI defendant Mark Ellison’s attorney Jeffrey Robinson said, “[FBI] Agent Morse was the face of this investigation. Agent Morse was willing to look Judge Winmill in the eye and lie about her testimony.” When a witness can be shown to have given sworn testimony that is inconsistent with or refuted by physical evidence or her previous sworn testimony, opposing counsel is usually permitted to challenge or impeach the witness’s credibility. Clearly and properly, Attorney Robinson hoped to persuade the trial jury that if FBI SA Rebekah Morse was willing to deceive the Court on a comparatively unrelated matter (her personal text messages with her husband), she might have been willing to lie to the Court on material matters relating to the allegations against the DBSI principals. It is also appropriate that the Court has not told jurors about the coroner’s determination that SA Morse died by a self-inflicted gunshot wound before she could be recalled to the witness stand. Until after the jury returns its verdict and has been discharged (and maybe not even then), it won’t be known what effect SA Morse’s deception, acknowledged and discussed in Court by Judge Winmill, may have had on the verdict. Regardless of any influence SA Morse’s deception may have on the jury and on the outcome of the DBSI criminal trial, it has already irreversibly affected the lives of many people close to her. Ultimately, her unnecessary and arguably irrelevant deception has already come at a very high cost. ADDENDUM on 04-09-2014 at 3:30 PM: On 04-08-2014 Judge Winmill filed another Memorandum Decision and Order. This most recent one provides the Judge’s curative instruction to the jury in addressing the on-stand texting of FBI SA Morse. It also explains how Judge Winmill considered the desires of both the government and the defendants in arriving at his curative instruction. Unless you’ve been reading the Idaho Statesman newspaper’s reporting of the DBSI trial in Boise, you may be unaware of the scope of the securities fraud, wire fraud, mail fraud, and interstate transportation of stolen property the government alleges defendants Douglas L. Swenson, Mark A. Ellison, David D. Swenson, and Jeremy S. Swenson committed from the headquarters of DBSI in Meridian, Idaho. As the Idaho Statesman newspaper reported in its April 11, 2013, article headlined How Meridian Company DBSI’s ‘house of cards’ fell, DBSI was “… a once-respected local company that lost millions of dollars invested by thousands of people who were attracted by DBSI’s promises of sure-fire profit on their purchases of pieces of shopping centers and office buildings around the country” including Virginia, Illinois, Georgia, Missouri, North Dakota and Texas. DBSI – A New Wrinkle? This morning’s Idaho Statesman article headlined Hearing after FBI agent’s death raises questions about her veracity during DBSI trial by John Sowell further complicates the already complicated federal trial going on in Boise. As we reported in our March 23 post entitled DBSI – Ever Hear of It?, after testifying on Tuesday and Wednesday last week, FBI Special Agent Rebekah Morse was found dead in her Boise home on Thursday morning. By Thursday night, within a period of about 16 hours, the investigation of her death resulted in the Ada County coroner announcing that she had died of a self-inflicted gunshot to her head. In his Monday morning hearing, federal district court Judge B. Lynn Winmill said that afternoon he would review the contents of the alleged text messages found on Morse’s phone and discuss the contents with the attorneys on Tuesday morning before bringing in the jury. It is likely that the contents of any of the text messages on Morse’s phone will help Judge Winmill decide how to best proceed with the trial. For readers who have PACER accounts, the case number is Case 1:13-cr-00091-BLW. This will give you access to several of the unsealed filings and court documents. And still no timely reporting of this major Idaho story from either The Coeur d’Alene Press or The Spokesman-Review. ADDENDUM on 03-26-2014 at 03:25 AM: Here is a link to Judge Winmill’s Memorandum Decision and Order filed 03-25-2014 concerning the assertations that FBI SA Morse had been texting during her testimony and had lied about it to the Court. The heavily redacted portions of the FBI’s FD-302 form presumably pertain to matters of her death investigation. This is one of the “newly unsealed court documents” Idaho Statesman reporter John Sowell refers to in his article in today’s paper headlined FBI agent’s court texts unrelated to DBSI. DBSI – Ever Hear of It? Have you ever heard of DBSI? That’s Diversified Business Services & Investments, Inc., a Meridian-based real estate development company. Several of its principals have been charged with federal crimes and are currently on trial in US District Court in Boise. According to an Idaho Statesman article, the trial was abruptly recessed this week when a Boise FBI special agent who had been testifying in the trial was found dead in her home of what the Ada County coroner stated was a self-inflicted gunshot wound. In April 2013 a federal grand jury in Boise indicted Douglas L. Swenson, 64, of Eagle, Idaho; Mark A. Ellison, 64, of Boise, Idaho; David D. Swenson, 35, of Boise, Idaho; and Jeremy S. Swenson, 40, of Meridian, Idaho, for conspiracy to commit securities fraud, wire fraud, mail fraud, and interstate transportation of stolen property stemming from their involvement in the DBSI Group of Companies (DBSI). The details of the indictment are in this press release from the Office of the US Attorney for the District of Idaho. Here is a link to the April 10, 2013, federal grand jury indictment. This 2008 Watch List article gives readers some idea of the geographic and financial span of the allegations raised against DBSI both civilly and criminally. This 2009 report by Boise television station KTVB explains how the allegations against DBSI affected one particular individual who likened the breadth of the losses allegedly attributable to DBSI as being proportionally similar to those attributed to convicted swindler Bernie Madoff. Our local and regional newspapers, The Coeur d’Alene Press and The Spokesman-Review, seem to have been missing in action on this very significant Idaho-based story.